There are currently 114,870 users on this website. 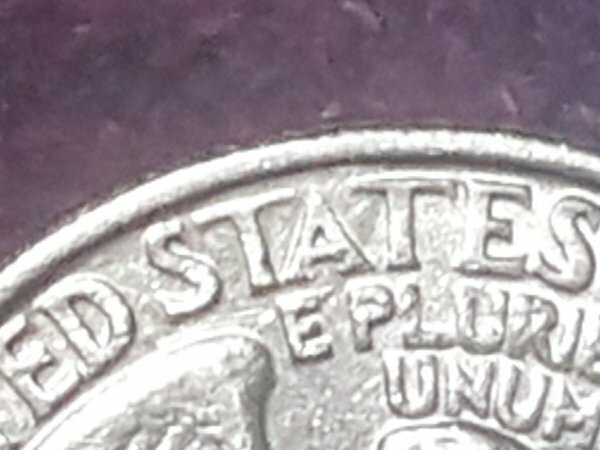 I found a 1993 quarter where the "T"'s on "state" is different from all the other quarters I've seen. does anyone know if it was a broken die? Or something else. to CCF. Looks like die abrasion. Note how just that one area is showing reduced sized devices. A sign of isolated die polishing. There may have been a die dent on the edge of the die they were removing. Next question? "Whats a die dent?" 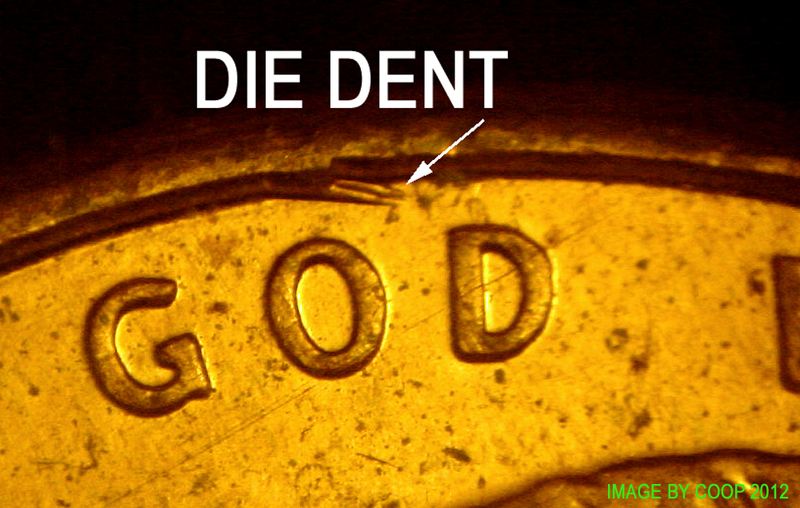 Damage to the outside edge of the die, that that leave an incuse mark on the die, raised area on the coins. So removing the die dent, lowered the fields, reducing the devices. On a struck through grease error the devices will either be missing, or larger because of the devices tapering. Thus the deeper part of the die fills first, then the devices will be wider, not smaller like this coin.